My dining companion told me about this stall after he went walking around the food centre. He said, "There is an interesting curry puff located at that corner." I decided to go check it out. When I was there, the "Hokkaido Curry Puff" on the signboard actually caught my attention. They are using 100% "Wonderful Traded Flour" from Hokkaido as indicated on their signboard. 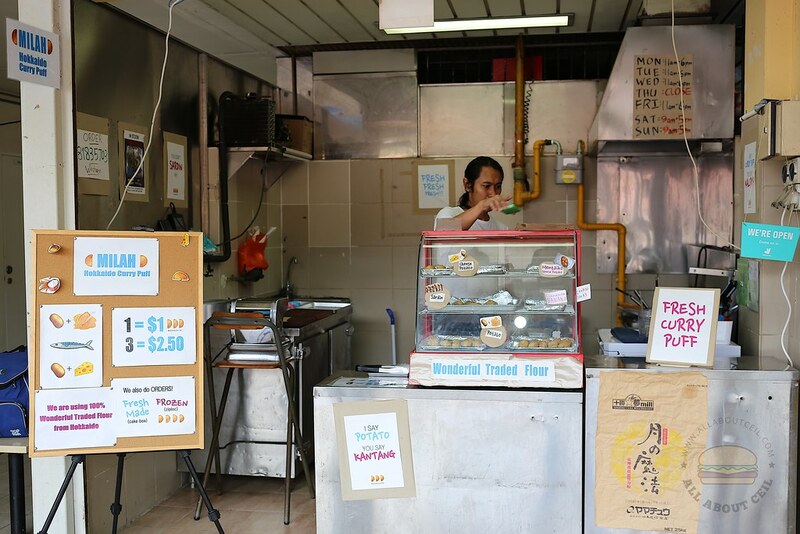 This is a halal stall owned by a Malay owner. The friendly owner spotted me and he asked, "Any curry puff for you?" 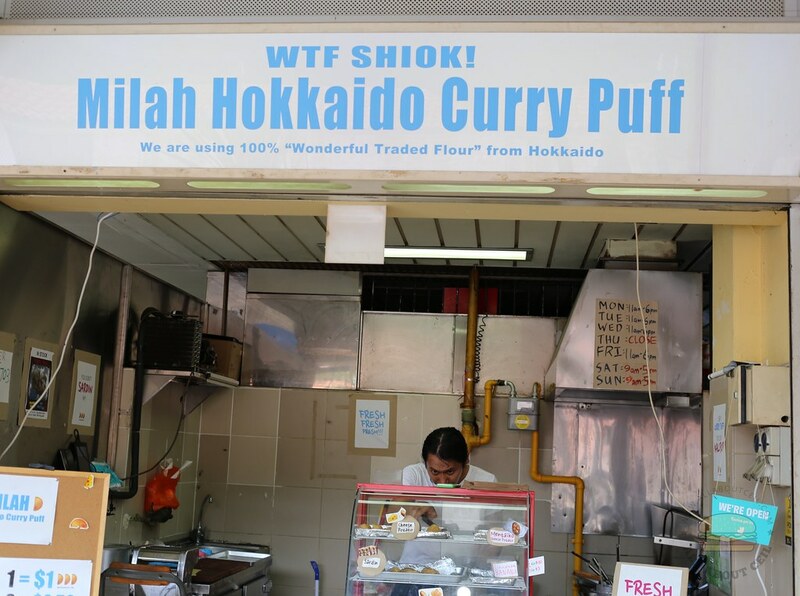 I asked, "What exactly is Hokkaido Curry Puff?" 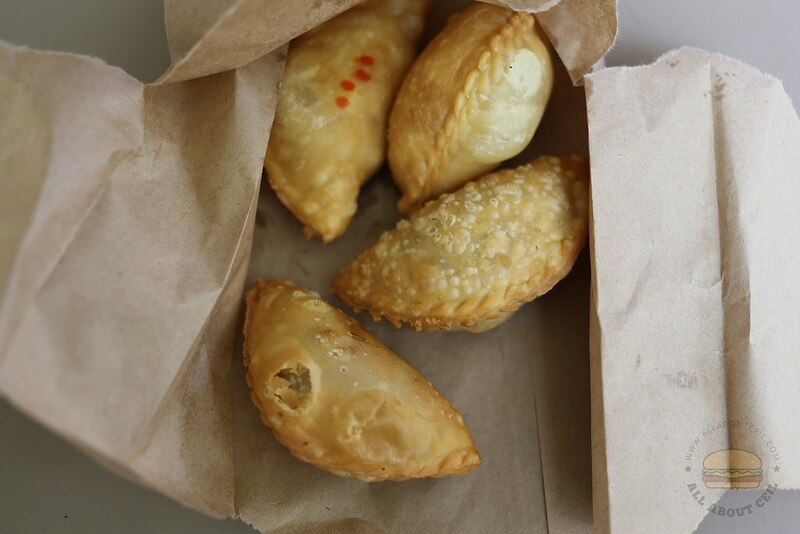 He pointed at the paper bag that has "Tokachi Mill Factory" printed on it together with some Japanese characters and said, "I am using the flour from Hokkaido to make all these curry puffs." He added, "There are different flavors ranging from the usual potato and sardine to cheese potato and mentaiko cheese potato." I asked, "How long have you been running this stall?" He answered, "We have been around for about 7 months." It is 1 piece for $1.20 or 3 pieces for $3.00. I decided to get one of each of the remaining flavors for a total of $4.20. We tried the sardine flavor and the potato flavor first, it actually tasted just like the usual curry puffs from the Malay stalls. We then tried the mentaiko cheese potato, it did not have the taste of mentaiko though we could actually see it amongst the filling. And, the cheese potato flavor did not have the taste of cheese in it. My dining companion said, "Though they claimed to use flour from Hokkaido, I could not quite tell the difference. It did not seem to have much effect in enhancing the texture of those puffs." 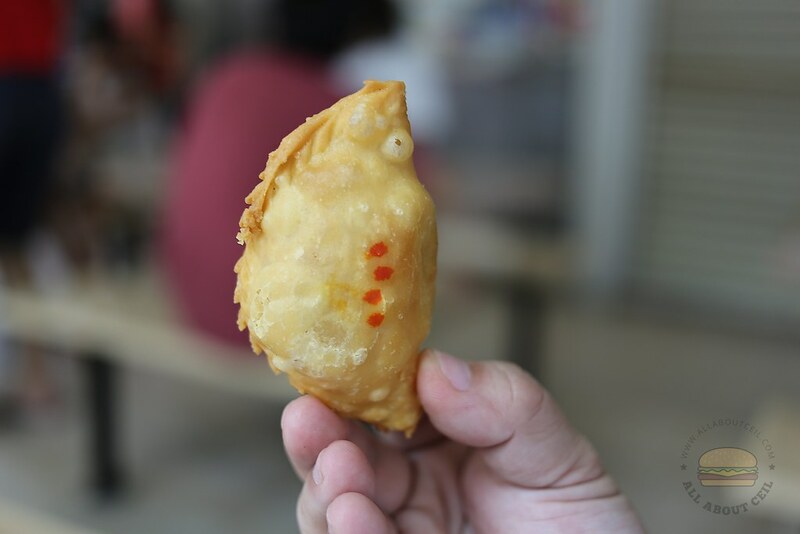 The size of these curry puffs is quite small. The owner seems to be passionate enough to keep this stall going and perhaps, give it more time and it will get better.